• Bowls Tasmania life member Pat Bennett. 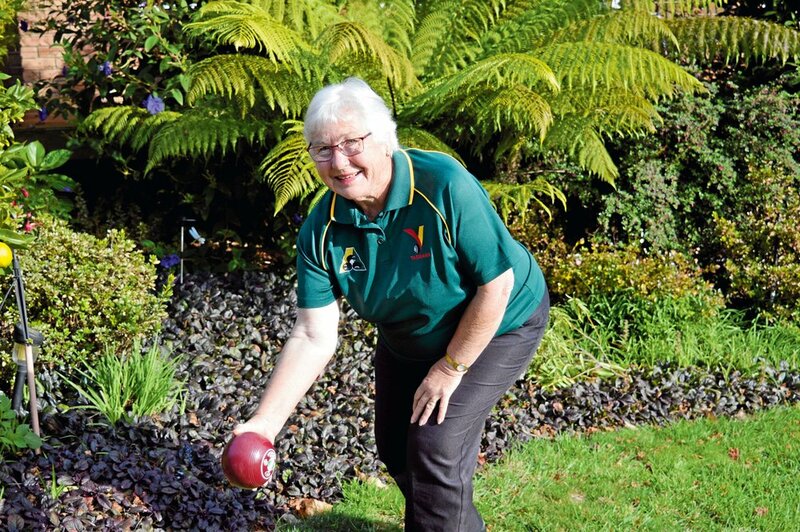 SCOTTSDALE’S Pat Bennett was recently awarded a Life Membership of Bowls Tasmania, in recognition of her outstanding contributions to bowls. Mrs Bennett started playing bowls almost 30 years ago when she was living in Ringarooma. She said some people in the town invited her to come along and try it out, and she’s never looked back. “When I started playing, I had no inkling that I’d be doing any of these roles and you don’t play bowls to do these jobs but if no one does them, you don’t have a club,” Mrs Bennett said. Despite all her hard work over the years, Mrs Bennett said she was surprised to be awarded. “To say I was astonished and amazed was an understatement,” Mrs Bennett said. “You don’t do these things to be honoured – and it certainly is an honour. She said she was humbled to be able to contribute to the sport. For Mrs Bennett, the true highlights since 1989 have been the friendships she has made. Mrs Bennett plans to step down as secretary at the Scottsdale Bowls Club’s annual meeting this week. Scottsdale Bowls Club president Merv Chilcott said she will be hard to replace. “It’s hard to really put into words what an asset she’s been and everything she’s done over the years,” Mr Chilcott said. “She’s been a tremendous asset, a backbone of the club for many years. Mrs Bennett said she looks forward to continuing to play bowls with the Scottsdale club for several more years. She will be officially presented with her life membership later in the year.